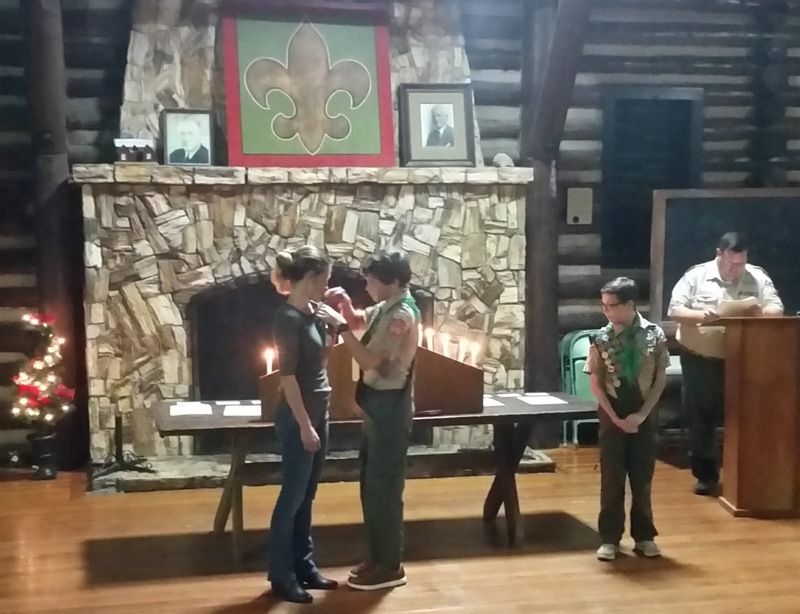 Dawson pinning the parent pin on me - a very sweet Scout tradition. 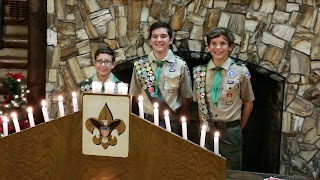 Seth, Will, & Dawson, who were all recognized with a Rank advancement at the Court of Honor. 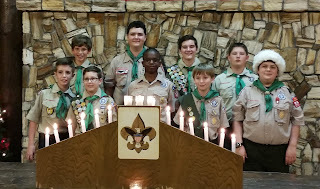 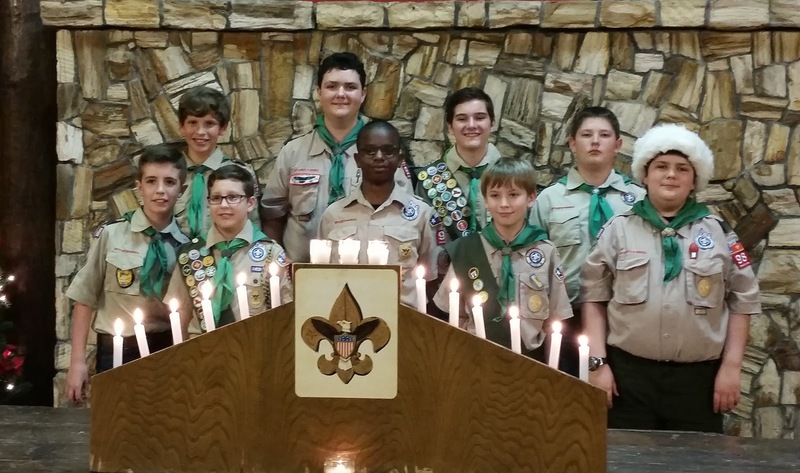 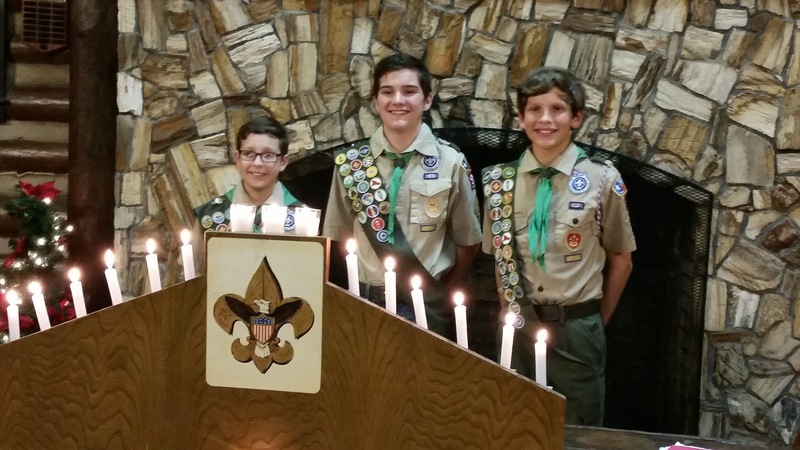 All of the scouts that received an award at the Court of Honor.